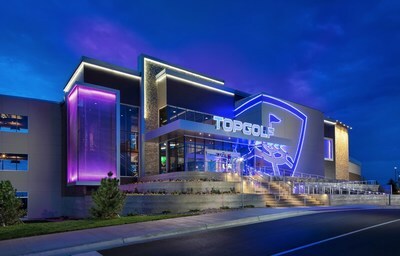 DALLAS, Feb. 5, 2019 /PRNewswire/ -- Global sports entertainment leader Topgolf® and Super League Gaming, the world's premier amateur esports company, have announced a partnership to bring amateur competitive video gaming events to Topgolf venues across the country. The program kicks off in February in Las Vegas with the Super League Gaming event series, Super League Clash Nights, based on Clash Royale, the massively popular and broadly inclusive mobile game from top publisher Supercell. Super League Gaming (www.SuperLeague.com) is the preeminent and unifying community for amateur esports players. Through premium in-person and digital events and leagues featuring top-tier games such as League of Legends, Minecraft and Clash Royale, Super League provides competitive video gamers with opportunities to experience their sport like the pros within a social environment that fosters positive communication, good sportsmanship and teamwork. 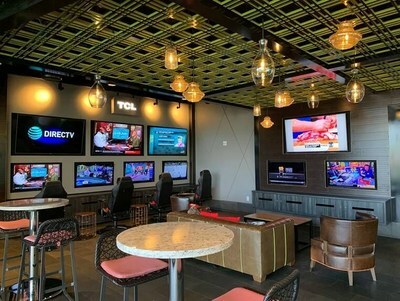 Super League's proprietary technology platform transforms local movie theaters, PC cafes and restaurant and retail venues into esports arenas, facilitating critical components of successful competitions such as player match-making, tournament operations, data visualization, and local and national live broadcasts, all across a wide variety of competitive formats. Super League City Champs was the first and remains the only national city-vs-city amateur esports league in the world. The company's entertainment brand, SuperLeagueTV, is the largest producer of live gameplay and original content dedicated to amateur esports, with distribution on Twitch and YouTube.